This room is very spacious, comfortable and elegantly furnished. The room is very cozy with a comfortable double bed which makes the residence of the guests very pleasant. This room is very spacious and elegant, decorated with furniture and antiques that give a touch of sophisticated ambiance. 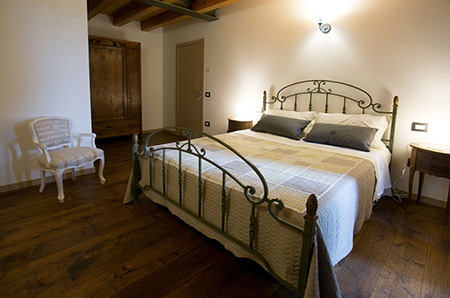 For a romantic week-end, for a business travel or for holidays in Veneto: Ca’ Gemma B&B is pleased to welcome its guests in an elegant, recently restored farmhouse that dates back to the beginning of the 20th century. 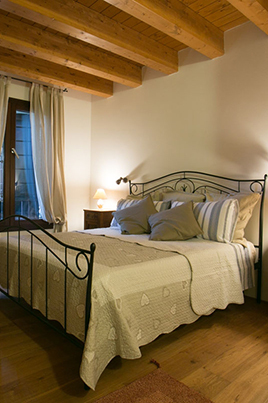 The B&B is situated in the green Venetian countryside, in the middle of the Natural Park of the small river Storga and it is the ideal location for those who love walking, cycling or just relaxing in nature. It is strategically situated close to the historical city centre of Treviso and to the train station of Lancenigo. From Lancenigo a regular train service takes you to both Treviso (few minutes) and Venice (35-40 minutes). 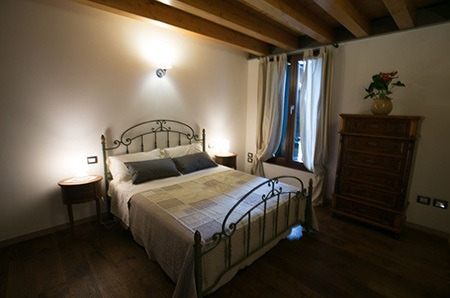 The B&B is named after Nonna Gemma (grand-mother Gemma), who, as first owner of the house, began to build this place with great commitment and passion. Her attention to details has made the B&B particularly comfortable and welcoming. Now her grand-child, together with the rest of the family, looks after the guests and offer a warm and discreet welcome. You will enjoy a quiet and relaxing stay surrounded by the sound of nature: birds, frogs, grasshoppers in the garden and water coming from fountains and from the river situated nearby. 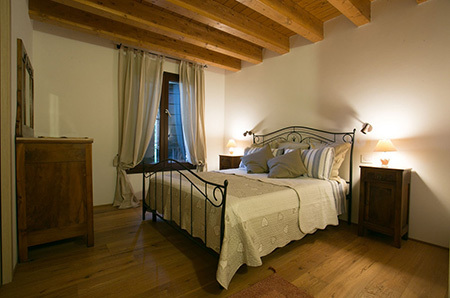 The bedrooms of Ca’ Gemma B&B have tasteful and elegant furniture to allow a pleasant and comfortable stay. 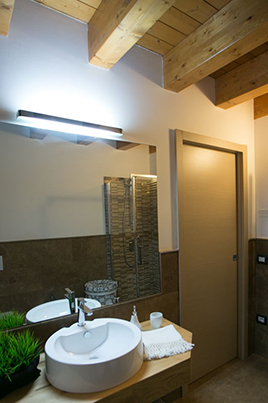 Wooden beam ceiling and wood flooring create a warm and comfortable environment, while bathrooms are in a modern style, with large shower boxes. All rooms have underfloor heating, air conditioning, TV and are soundproof. 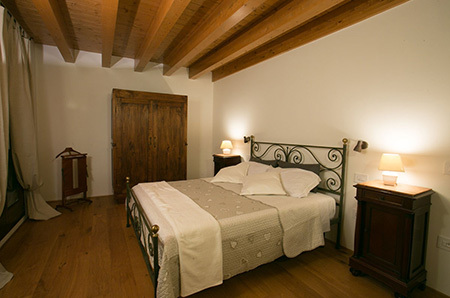 To mark the close relationship to the local territory, the rooms have been named after some small rivers in Treviso: STORGA, ACQUETTE, PIAVESELLA, LIMBRAGA. All rooms are equipped with a double bed. A further single bed or a cradle are available upon request.